Studies have shown that boring surveys contribute often to respondents dropping out - making it hard to achieve the necessary quotas. 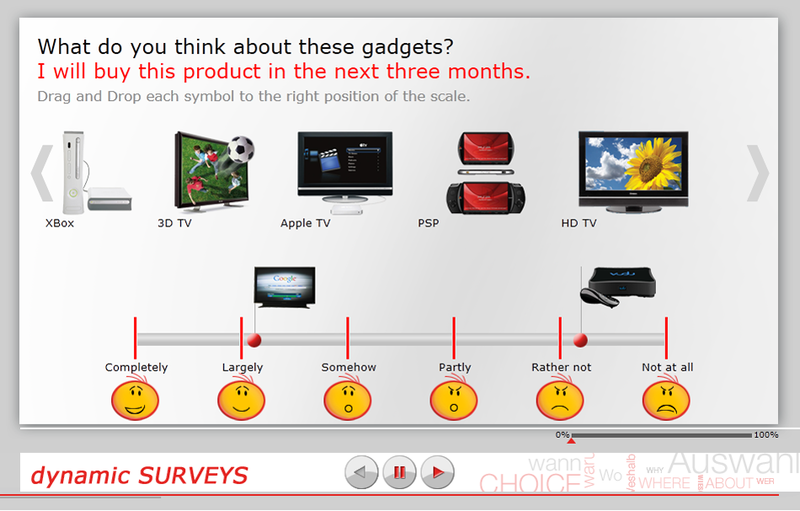 With Dynamic Surveys from Channel Group, Inc., there is no such thing as a “boring survey”. Help your survey respondents stay engaged and interested by applying one (or more) of our Dynamic Survey Templates to add visual interest and functionality to your IBM® SPSS® Data Collection-based survey. 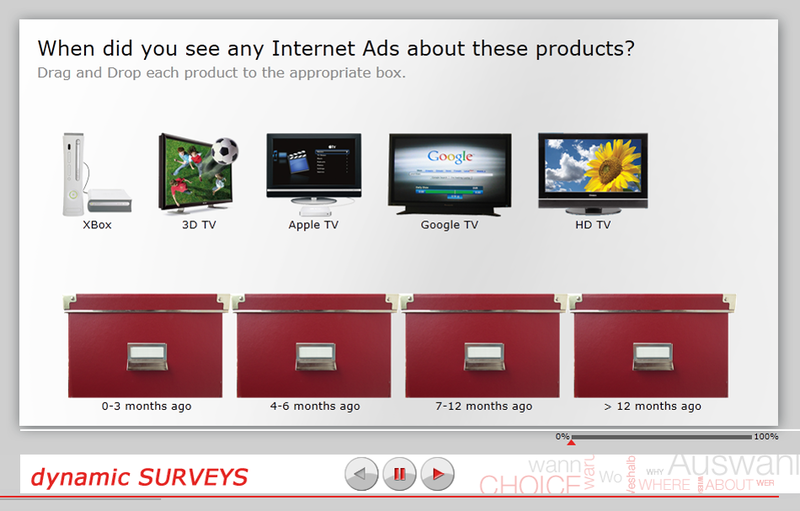 Click on any image to launch a live survey containing that specific example. 1. Drop response items into a graphic scale: You define how many response subjects are visible. The resultant data is stored as a [long] numerical variable so you can calculate within the full rating scale – even if someone chooses a value between the displayed categories. 2. Rate elements plus “drag and drop” into the boxes: An ideal replacement for regular grid questions, this dynamic solution allows users to move items (grid elements) into individual boxes (grid columns). 5. Create multiple response grids: Every line of the grid is shown as a separate page within this component. The answers are shown at the bottom as individual images. You can define if an exclusive response item will un-check all other answers immediately or trigger the standard error handler. NONE would be an exclusive response value in this example, if the respondent clicks on that response, the other previously selected items are un-checked. Data is stored directly inside the grid structure and you use the question internally like any other categorical grid. 6. Quickly ask numerous single response questions: Individual images fly onto the screen and respondent simply clicks thumbs up or down. This component is made for very quickly asking yes/no or other single response questions. Every line of a grid is shown at one time and there is no postback to the server between the lines. This makes the component very fast. The data is stored directly inside the grid structure and you use the question internally like any other categorical grid. 7. Capture the GeoLocation of your respondents. This component captures the Geographic Location of your respondents. Neither the question or the results need be displayed. Location Services must be allowed by respondent browser settings. 8. Capture multiple Geographic Locations. This component Integrates Google Maps within your survey. Respondent could enter their daily route to work. They start by placing a first marker (home), then the next marker, perhaps at the El stop, and indicate how they got there (e.g. walking or underground). Then for each major point in their journey, they enter the travel method. 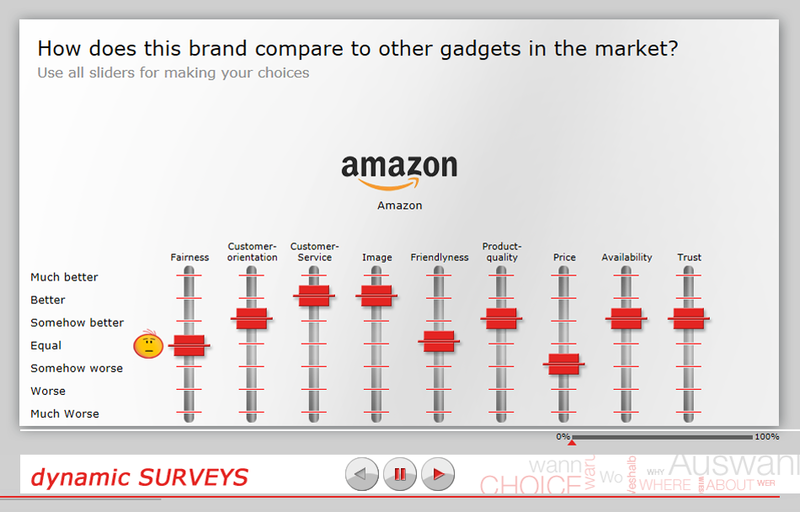 At the end of the journey all trip information is stored inside the survey data…. Including travel time, etc. 9. Survey Respondent Report and Tabbed Survey. Respondent Report allows respondents to download a PDF file to their local computer that includes their responses to a survey taken in IBM SPSS Data Collection. A tabbed survey lets users jump from one form/page to another without having to download numerous pages from the server. 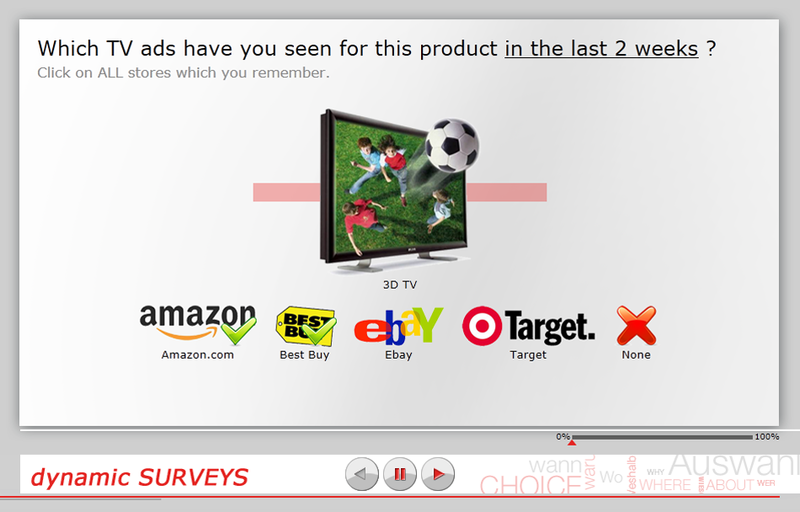 Users can simply click on the tabs at the top of the form to jump back and forth in the survey. 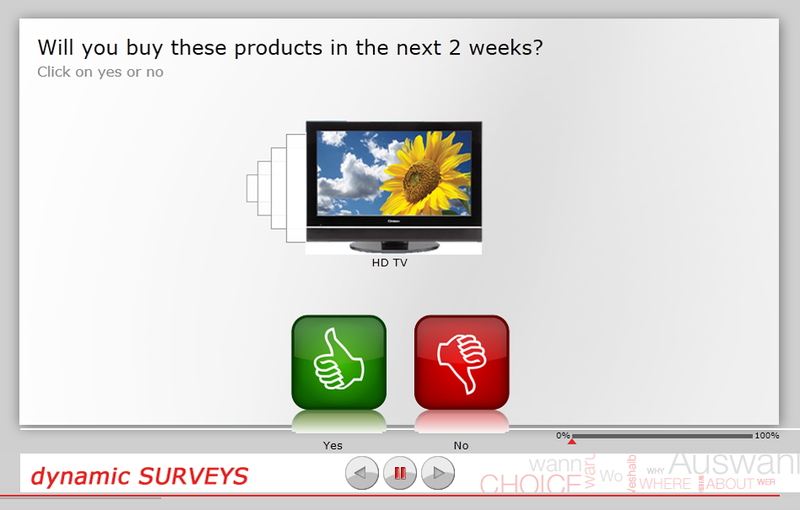 We are happy to develop custom Dynamic Survey Templates for YOUR specific needs. Contact us to learn more about our exclusive product Dynamic Surveys and how we can help you enhance your surveys – and improve your likelihood of getting complete responses.